As I was teaching a long standing client the other day, she was doing a Pilates exercise she’d done hundreds of times, the Roll-Up which is the 2nd exercise in the Classic/Authentic/Romana’s order. This client is a challenge, hates to really exhale, somewhat tense most of the time and resists the sensation of really pulling in her core. I needed to give her new cues to see if I could get her to perform the exercise from her core. So I began to focus on her arms, shoulders and scapula; suddenly she looked at me with wide eyes and said, “That’s a new exercise.” I, of course, was thrilled and it triggered new thoughts about Pilates and how brilliantly Joe Pilates designed his fitness exercises. I had Great-Uncles that were Silver Miners in the Rookies in the early 20th Century. They dug holes in the ground looking for rocks with veins of minerals. For years, they just kept digging on the same mining claim acre, looking for the rocks with veins. Always looking for the most value out of what they had. 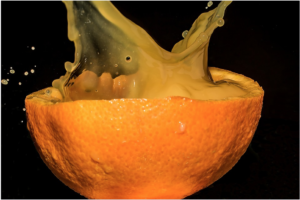 As a Pilates instructor, I hear my teacher Romana Kryzanowska saying to us “Get all the juice out of the orange!” Whether it is juicing an orange or digging in the hills, it is all the same concept, getting the most you possibly can from your source. I dig through Joseph Pilates’ exercises looking for veins of benefits for my clients. The word “mine” can be defined as “an abundant source of something.” Joseph Pilates’ exercises are many but even those first basic Mat exercises gives one an abundance of areas in which to improve; whether it is breath, or strength, or moving with less tension, or flexibility, or coordination, or just proprioception.